There is no easy way around it. Revising a novel that is. 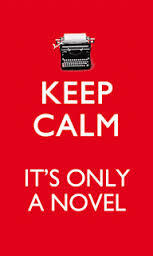 I have written 2 novels now and have to say, I love turning up for the page. 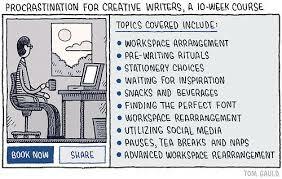 I have yet to experience writer’s block (lucky me). The biggest hurdle I experience is fitting writing in around my part time job and my young family life. So when I do show up and start writing – it is a real buzz – I love it. Draft Zero – the rough draft – warts and all. The writing has been more or less vomited onto the page. It is not a pretty picture to a reader. The experts advise to sit on a novel for a bit – leave it ‘in a drawer’ and then to return to it some weeks later. So you go back to it with a fresh view. But I have found that the weeks go by, months even, and I avoid returning to it. There is that dread. My characters are nagging me – tapping me on the shoulder – “hey! what about us, that scene – you know it doesn’t work – fix it” or the character that is a bit fuzzy looking – standing in some fog, cos you haven’t written their back story to give them a good foundation – some depth. Why do I put it off? Because revising is soooo hard. I recently gave my Draft Zero to my writing group for their first impression. The are my Beta Babes. My Writing Sirens. My Realists. They are an honest bunch – I got to hear the plot strengths and weaknesses. Plot holes essentially. Don’t get me wrong – it was great. Very productive. It just means I had to go back in and sort it out. Needless to say, there is a lot of work that needs doing. And THAT is when I had to convince myself to go back to the keyboard and start the shredding/slashing/re-creating. 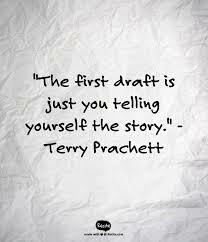 Which then is the beginning of Draft one. My last book, K-Girls took about 17 drafts before it was ‘done’. Yup, One Seven. So I have a bit to go yet on this book 2, before it is truly finished. There could be many a sleepless night – but hey, I have 3 kids – Sleepless nights don’t scare me. Anyway – why am I going into all this now you might ask? And here I am – writing this – when on my next PC window sits my novel – Whistling Dixie for my attention. And so I will take a break from my blog for a bit. As I get my teeth into revising my own book. I am sweating thinking about it. But hey – all for the greater good. And no one else can do it but me. This I have to do on my own. So I am going to knuckle down.